Der polnische Außenminister Witold Waszczykowski. Poland downplayed the EU’s unprecedented warning on Thursday (2 June) to the country’s right-wing government to respect the rule of law, or face punitive measures. EURACTIV Poland reports. “We’re treating this document as an opinion, a suggestion, which doesn’t oblige us to do anything,” Foreign Minister Witold Waszczykowski told state radio, referring to a formal European Union warning to the ruling Law and Justice (PiS) party to roll back its overhaul of the top Polish court, or risk sanctions. Brussels’ warning is part of a drawn-out procedure which could eventually see Warsaw have its voting rights suspended in the European Council of Ministers, the EU’s most important decision-making body. The EU today (1 June) formally warned Poland that it should find a solution to roll back Warsaw’s overhaul of the top Polish court, which critics say endangers its independence. 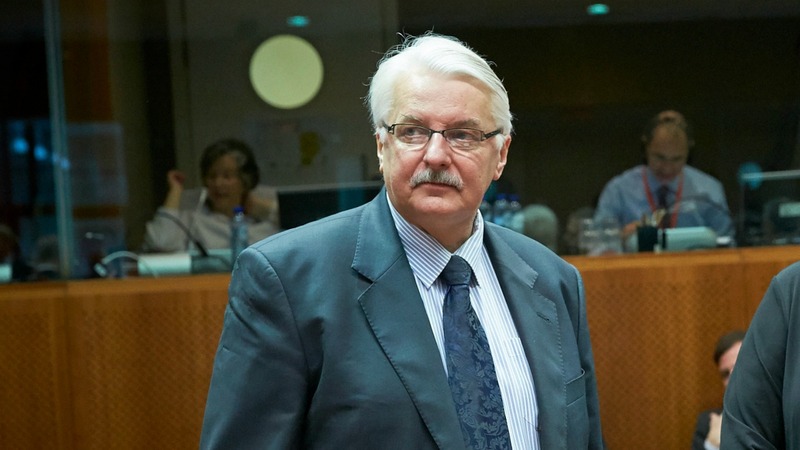 Waszczykowski said he would read the 20-page EU text, received on Wednesday (1 June), once he had “a free moment”, adding he had passed it on to Prime Minister Beata Szydlo and President Andrzej Duda, who would then share it with parliament. “In a few days I’ll have a chance, maybe when I have a free moment, to familiarise myself with the document,” Waszczykowski added. The opinion is confidential, but EU sources said that it was critical of the actions of the Polish government in revamping the Constitutional Tribunal. It is important to stress, however, that this is not a recommendation – therefore Poland is still in the first stage of the Rule of Law Framework. This means that Warsaw is still is in talks with Brussels, and the European Commission has not yet put forward a list of changes that Poland would have to introduce, or face penalties. When he presented the opinion, Commission First Vice-President Frans Timmermans praised the “constructive talks” he has conducted with the Polish government. But he also stressed that now it is the time to “resolve the risks to the rule of law in Poland”. While the Vice-President was careful in his choice of words, the Commission’s decision to publish a rather lengthy press release was not welcomed by the Polish government. The calmest response came from the State Secretary for European Affairs Konrad Szymański. The former MEP (often named among the best Polish MEPs in various rankings) said that the opinion “does not bring up anything new”. Szymański emphasised that all the matters mentioned by the Commission have already been discussed with Timmermans and other representatives of the executive during meetings in recent months. He also expressed regret that the Commission seemed to become less conciliatory and he ascribed to the influence of the Venice Commission. Other members of the government were more critical – repeating that the EC presented “only an opinion”. Beata Szydło, Poland’s premier, has stressed that “the Rule of Law Opinion, as it is, is just an opinion will not impact in any way the decisions we make in Poland”. Justice Minister Zbigniew Ziobro was blunter. He expressed “regret” that the European Commission decided to issue the opinion, as in his view it represents a turn towards a more confrontational stance. He said that the Commission “has involved itself in an internal matter [of Poland] and its actions support the opposition” in order to “harm the government which is not convenient [for the EC]”. He also believe it to be a potential tool to pressure Poland to conform to the policies presented by the executive such as mandatory refugee quotas. The opposition, on the other hand, was happy with the European Commission’s decision and used it to increase pressure on the government. Grzegorz Schetyna, chairman of Civic Platform (known as PO), the largest opposition party, called the government to back down and to accept the Tribunal’s rulings. Rafał Trzaskowski, also a member of PO and Szymański’s predecessor as State Secretary for European Affairs, pointed out that the need for the Commission to start the Rule of Law Procedure weakens the Polish negotiating position and will harm Poland’s ability to get what it wants in European affairs. 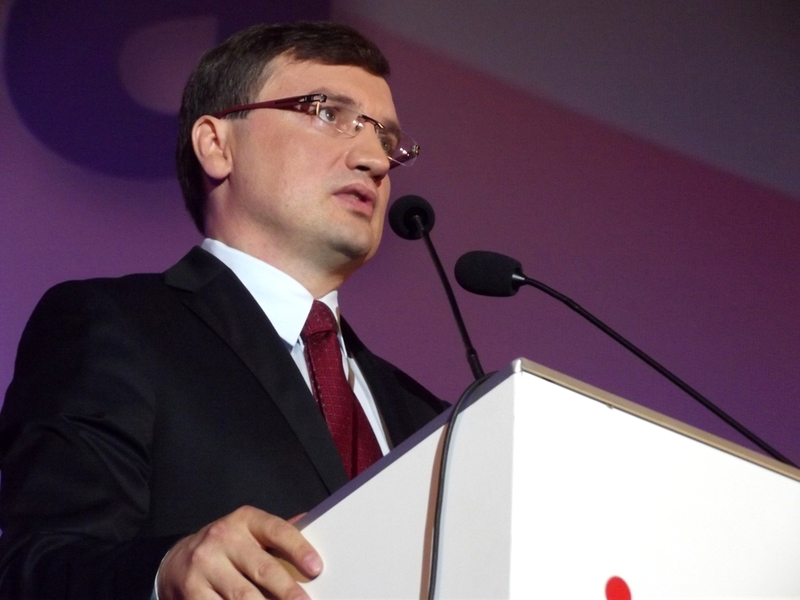 Nowoczesna, the second-largest party in Poland, stressed that the conflict with the EU has reached a new level. Its leader, Ryszard Petru expressed his doubts that the PiS will really try to resolve the issue, and instead that it will play a waiting game with the executive. Yet not all opposition parties are equivocal in their views on the Juncker Commission’s opinion. The Polish People’s Party, an agrarian party and a part of the previous government coalition, joined PiS in its view that the Tribunal crisis is an internal matter and should be solved by the Polish parliament rather than the European institutions. The Polish government now has two weeks to present its reaction to the Rule of Law Opinion. After that, the Commission may request further information, present its recommendation or decide that the whole issue is settled. Since 2009 when the Lisbon Treaty entered into force, the European Commission has been confronted on several occasions with crisis events in some member states, which revealed specific rule of law problems. Before the Lisbon Treaty entered into force, the EU has imposed sanctions only once against a member state. In 2000, 14 countries of the then 15-member EU reacted to the entrance of Jörg Haider's far-right Austrian Freedom Party into the Austrian government by freezing bilateral relations with the country.